The University’s record-breaking $9.6 billion capital campaign sends a strong signal of faith in Harvard and higher education — but it also highlights ongoing tensions in the industry, experts say. 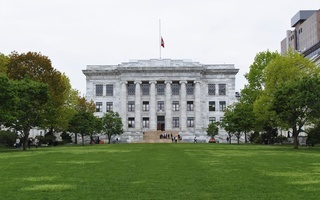 Launched in 2013 under former University President Drew G. Faust, Harvard’s capital campaign set out to break a record previously held by Stanford University, which had raised $6.2 billion in its campaign that concluded in 2012. Harvard’s goal — $6.5 billion — was ambitious at the time. Three years later, Harvard sailed past its target and was well on its way to the eventual $9.6 billion haul the University made public last week. At a time when both Harvard and higher education face a hostile political climate marked by a high-profile lawsuit against Harvard, a tax on some university endowments, and criticisms of higher education's efficacy to the average American, the capital campaign still managed to exceed expectations. The unprecedented haul displays donors’ confidence in both the value of a Harvard education and the ways in which administrators use financial gifts, experts say. Weiss said enthusiasm in capital campaigns like Harvard’s results from “carefully built relationships” with established and potential donors whose priorities align with those of the institution. 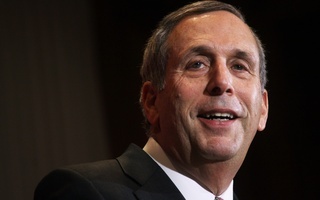 Peter F. Lake ’81, a higher education law expert at Stetson University, on the other hand, said the campaign’s success also conveys a different kind of faith in Harvard — that donors believe the school is using their gifts effectively across the University. He particularly pointed to Harvard’s approach to paying its staff, putting funds behind student groups, and backing long-term endowed professorships — taken together, a strategy that can help schools avoid perpetual concerns over annual operating budgets. “Obviously, the folks willing to commit those kinds of resources believe chiefly that the choices are good ones,” Lake said. Critics of higher education around the nation, however, may not necessarily agree in the value of these investments. 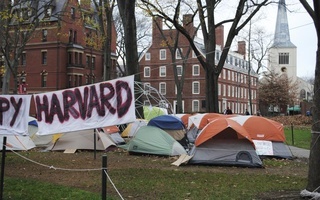 Weiss said the success and high visibility of Harvard’s campaign creates a certain awkwardness in light of Harvard’s efforts to fight the tax on its endowment. Republican lawmakers passed a tax overhaul in Dec. 2017 that levied a 1.4 percent excise tax on the returns of large university endowments. Harvard has spent money and sent University presidents to Washington to make the case that taxing the endowment will hurt financial aid and other essential University initiatives. Raking in almost $10 billion in donations could appear to contradict this message. “Success like this runs the risk on the one side of people saying, ‘Well look at how rich these institutions are, and we should try to tax them more,’” Weiss said. Yet Weiss said this is a “misunderstanding” of the way both campaigns and endowments work. Public relations implications aside, Lake said Harvard’s “extraordinary achievement” with its campaign also highlights increased stratification in wealth between liberal arts colleges and universities across the country. “The rich are getting richer and the poor are getting poorer and there are a hundred colleges out there that would just beg to split a billion dollars amongst them,” Lake said. A higher bar for Harvard, then, doesn’t necessarily translate into higher fundraising goals across higher education, Weiss and Rogers said. Rogers, who will step down at the end of the calendar year, said university leaders observe each other’s campaigns, but that most schools — including Harvard — tend to think more about the “impact of the funds they raised” rather than the final number. 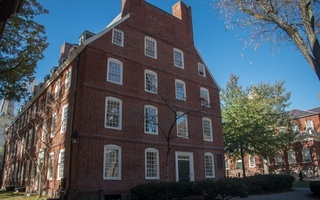 Weiss said Harvard’s base of support is particularly extensive because of the school’s elite status. Rogers and Weiss said colleges and universities must also examine what the expectations might be for the level of support an individual campaign might receive. Rogers said this is crucial in a campaign’s “quiet phase” — a testing period prior to a campaign’s launch that helps universities determine a realistic final goal. Even if Harvard’s campaign doesn’t set a new bar for higher education fundraising, it might still serve as a model for more effective campaigns, Lake said. Other schools are likely to try “studying the film” from the campaign to borrow from Harvard’s fundraising tactics in their own efforts.